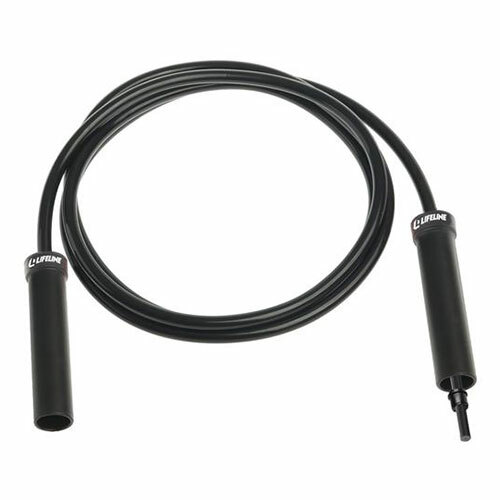 If you’re looking for a powerful and effective cardio workout, the Weighted Speed Rope is for you. The Heavy Speed Rope weighs .75 lbs. The Extra Heavy speed rope is a maximum safe weight of 1.25 pounds is all in the rope-not in the handles-making your workout comfortable and smooth. Professionally engineered, the Weighted Speed Rope features our new high-tech, ball bearing handles for smooth rotation. It’s used and recommended by recognized fitness experts and was developed by jump rope expert Bobby Hinds, the “Jump Rope King”. Take your fitness to new heights with the comprehensive jump rope book.